School resumes on Monday 23 July for the start of Term 3. As we are now a Cancer Council Sun Smart School, hats are compulsory for all students in Term 3. Please ensure they have their hat for day one of Term 3. My thanks to the students, staff and parents for what has been a hectic but very productive term for learning, and I wish all the community a happy and safe holiday break. Rest: Everyone should rest. But do we know how to? These days, many of us are almost addicted to constantly looking on our device. I know I don’t rest when I look at school-related emails over the weekend. I shared with the students that I am going bushwalking during the holidays and for much of the time, I will be out of mobile coverage. I am really looking forward to having genuine downtime from my device. I hope students and families might also be fortunate and able to switch off. Reconnect: Holidays allow time to restore relationships with family, friends and ourselves. I asked the students how do they reconnect with their parents during the holidays? I suggested they offer to cook an evening meal or a weekend BBQ with mum or dad or just simply spend time in the kitchen just chatting about their family. Play: In my view, playing enhances our mental energies, or creativity, and our enjoyment of life. I encouraged the students to make time to play as a goal for the holiday break. Dream: I encouraged the Year 11 & 12 students to dream a little about “What’s next for their life?” Yes, this is a big question, but one that maybe they can contemplate in moments of relaxation in between some focussed study and catch up time. Rejuvenate: I think holidays are needed to help students re-engage with their school work when they return. I want the students to return energized and eager. If not, they might come back dreading work and have failed to truly rest and rejuvenate. Best wishes for all these things in the coming break. 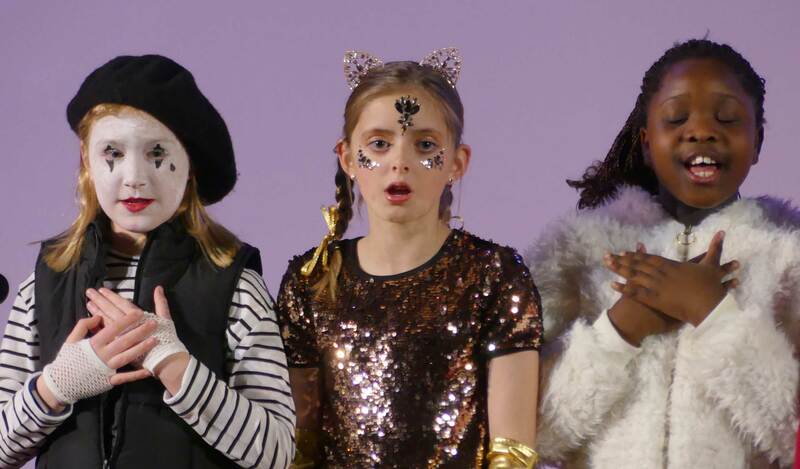 The performing arts provide a creative escape for children, introducing them to the imaginative worlds of theatre, music and dance. Exposure to the performing arts at an early age provides fond memories that children will cherish for a lifetime. More importantly, an introduction to the performing arts initiates the development of invaluable life skills in children. Specialist subjects, such as Physical Education, Chinese and Performing Arts allows children to showcase these qualities. My sincere thanks to the teachers and students who demonstrated the Learner Profile in many and varied ways at the JS Greatest Showcase. We have successfully reached the halfway point of the year and we now reflect on all of the hard work we have done to get here. We also look ahead with excitement towards the well-deserved school holiday break. Our students have worked extremely hard, particularly over the past 3 to 4 weeks, to see out the term. Teachers have been busily writing reports and marking assessments to be entered in the semester report and, no doubt, you as parents have been busy motivating your children to hang in there until the end of term. Sometimes the cold weather has an effect on students, but I will say that the students’ energy levels have been very high for this time of year. I congratulate all our students on reaching the halfway mark and hope that we can all refresh and prepare for another productive Term 3. 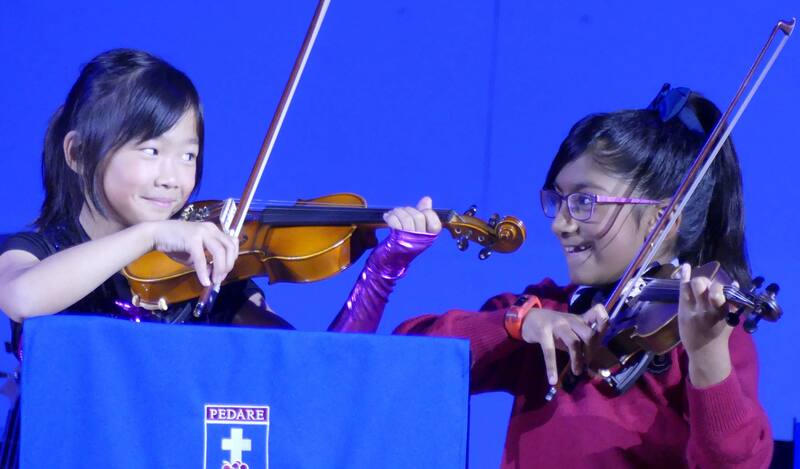 Throughout the Middle School, there have been students performing and excelling in a variety of areas. I was lucky enough to attend the Specialist Program in Netball (SPIN) school’s carnival held at Priceline Stadium two weeks ago. 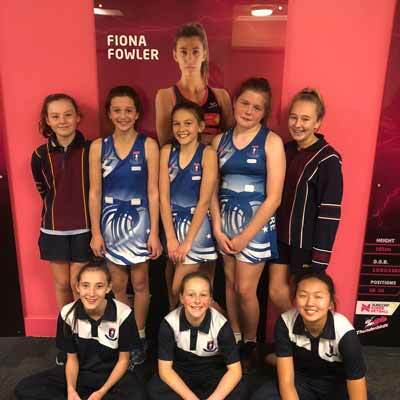 All our teams performed well and represented the College proudly, although no teams took out first place in their age group we were exposed to some highly competitive netball and will continue to improve. This week a number of Year 9 girls attended the CHOOSEMATHS day held at the University of Adelaide. 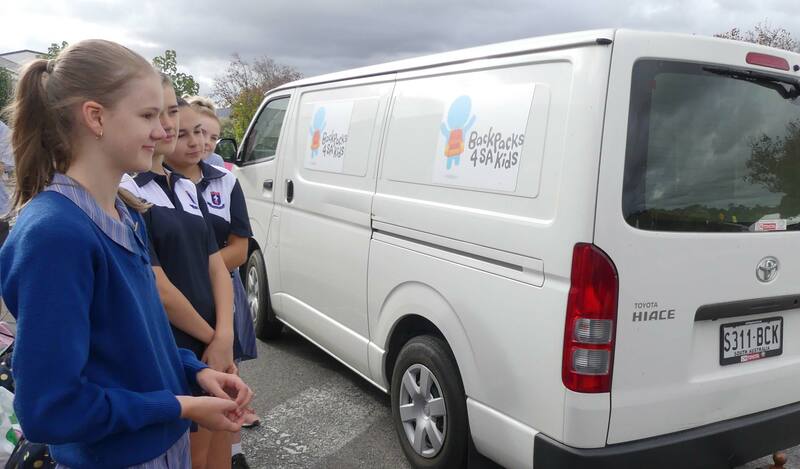 The day was to demonstrate a number of industries and pathways for girls that have their origins in Mathematics. 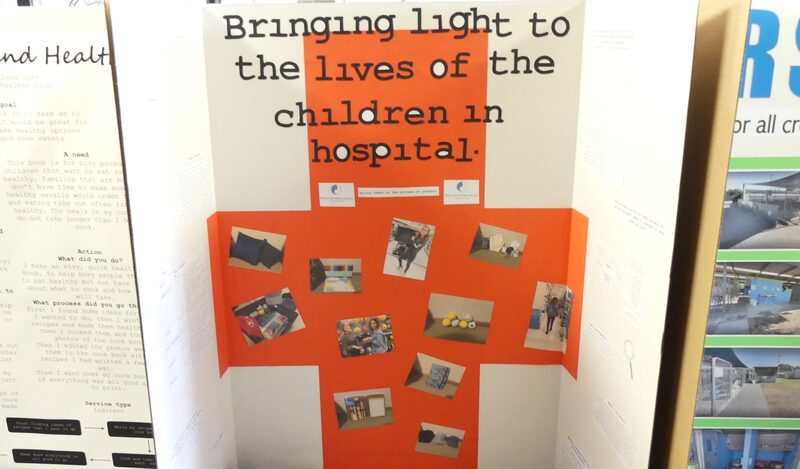 Congratulations must also go to all of the Year 9 students on the Community Project Display Night. 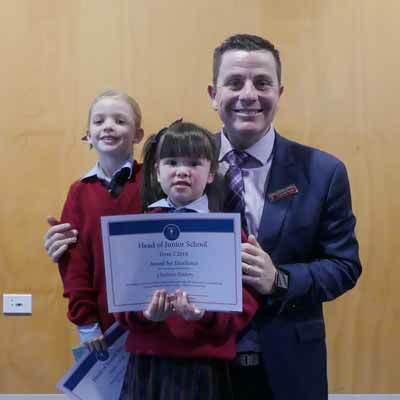 With so many parents in attendance in the Wattle Centre last Thursday night, it was wonderful to see the hard work of our students on display. Our students were able to confidently communicate and provide depth about their chosen projects. The passion and knowledge that students were able to convey about their individual topics were outstanding. Many parents commented on the pleasure they took from seeing their own or other children speak passionately about their topic. 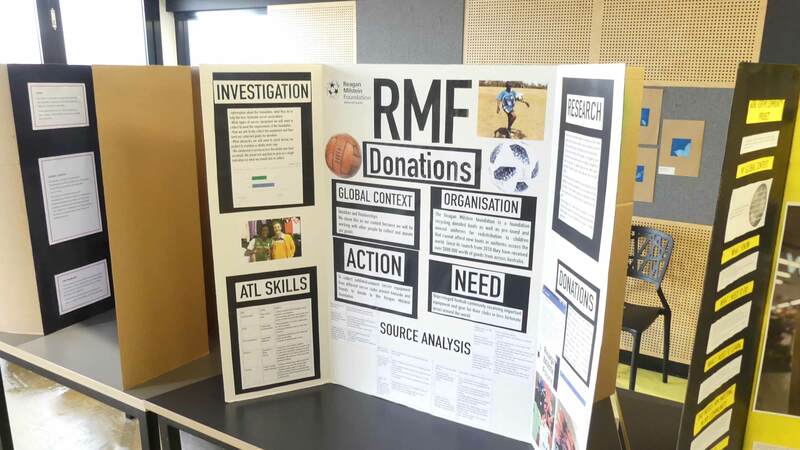 This again highlights the value of this long-term IB MYP project and we look forward to their presentation that will occur in Week 5 of next term. 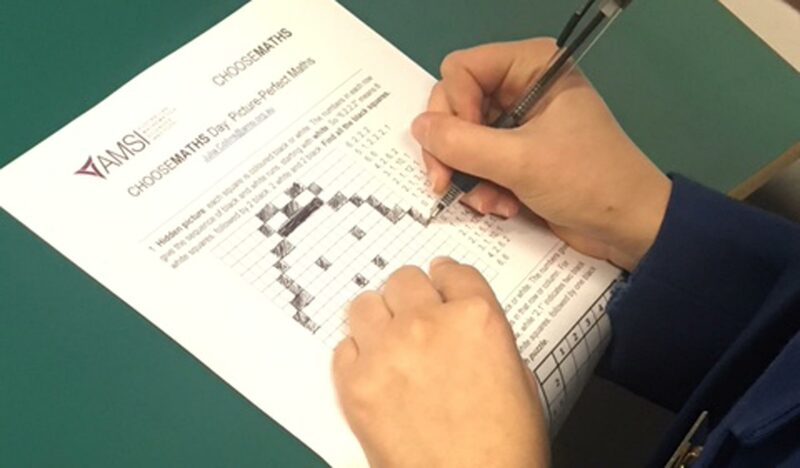 On the final day of term, our Middle School Semester 1 reports will be distributed. This will allow you as parents to be informed about the academic progress of your child. If you require more information or would like to discuss any of the results, please do not hesitate to contact your child’s teacher. 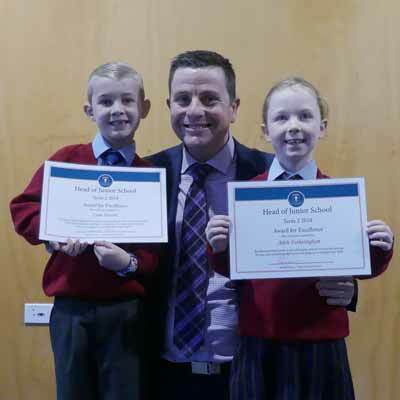 It is when the school and family can work in partnership that the best learning outcomes are achieved. I wish you all a happy and safe break and look forward to the remainder of the year. No doubt there will be a number of tired Year 11 students (and staff) this week as they have completed their annual Challenge. Nevertheless, sore feet aside, initial feedback indicates that they enjoyed the two-day experience. One, in which their nerves and skills are tested as they abseil and rock climb; and the other as they work as a team to find and unravel clues around the Adelaide CBD. Thank you to all who participated. Some Mathematics students have had a busy time, with their attendance at a One+ Campus presentation by Eddie Woo and at CHOOSEMATHS at the Adelaide University. Hopefully, these have stimulated their enthusiasm for the world of numeracy. 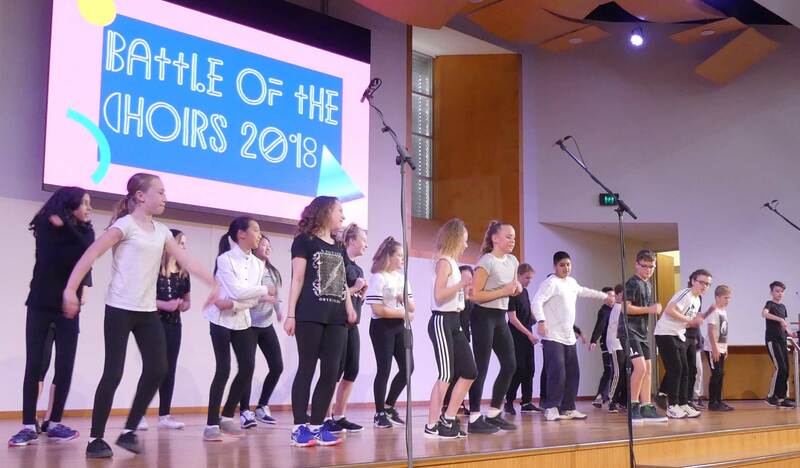 The annual One+ Campus Flair talent night was held in our Chapel and it was pleasing to see the performances from our students who were the successful entrants in the Pedare’s Got Talent competition. Despite the recent chilly weather, the students enjoyed the opportunity to vary their dress code on our Winter Warmer Casual Day, as they raised funds for our nominated charities. It isn’t often you get to come to school in your winter PJs and ugg boots, so some students really embraced the occasion. As we come to the end of another term and move into the second half of the year, our focus will certainly be on rest and relaxation for the next two weeks. Sleep and rest, refresh our minds and repair our bodies. Relaxation differs from rest, in that relaxation is our mind’s way of rejuvenating, and can assist in reducing stress and/or anxiety. This means that while rest occurs while we are asleep, relaxation occurs while we are awake, and involves us engaging in activities that we enjoy. Therefore, it is important that we invest time in both rest and relaxation, to optimise our mental and physical health. In order to give our best, we have to be at our best. We must look after ourselves. My wish is that all Senior School students and staff enjoy a well-deserved time of rest and relaxation and return safely for the start of Term 3 on Monday 23 July. 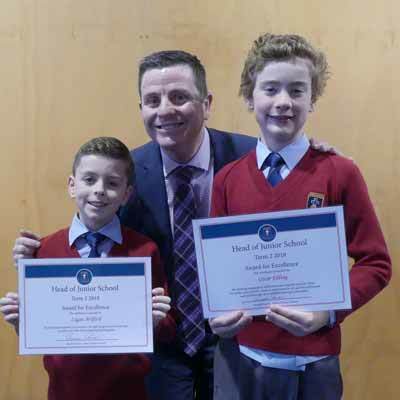 ‘The Greatest Showcase’ was a big name to live up to, but Junior School students worked hard to ‘wow’ their family and friends at Wednesday night’s JS Performing Arts Showcase. 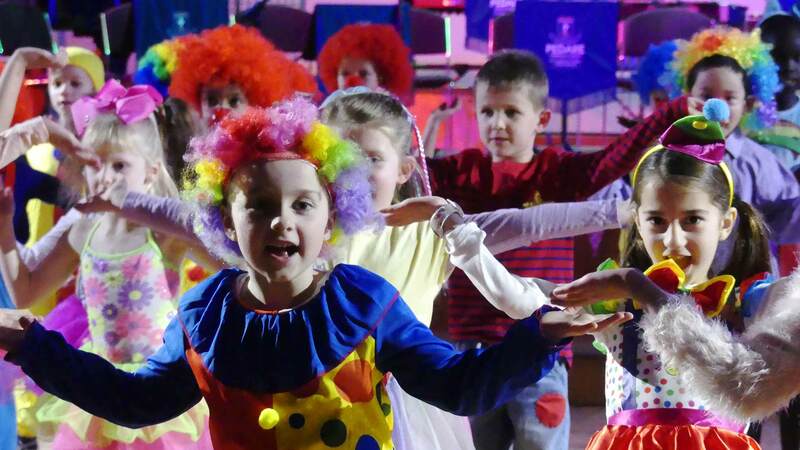 With a circus theme inspired by a recent hit movie, students sang, danced and played their very best. 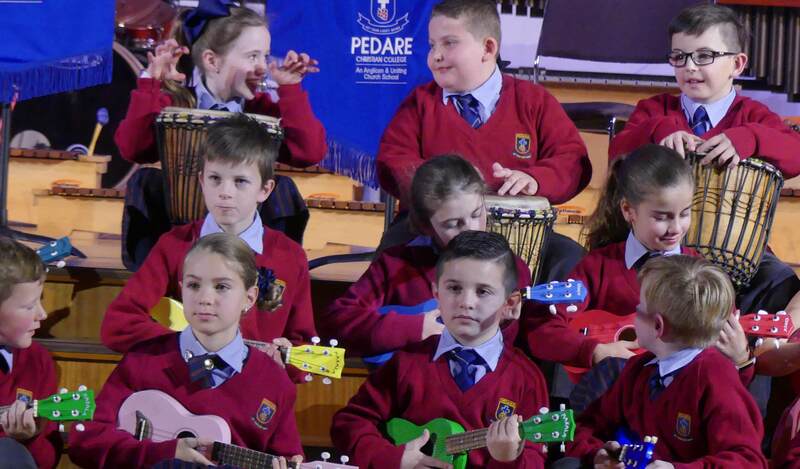 The Junior School Choir demanded the spotlight with their new harmonies and the percussion, string and guitar ensembles demonstrated what can be achieved with dedication and practice. 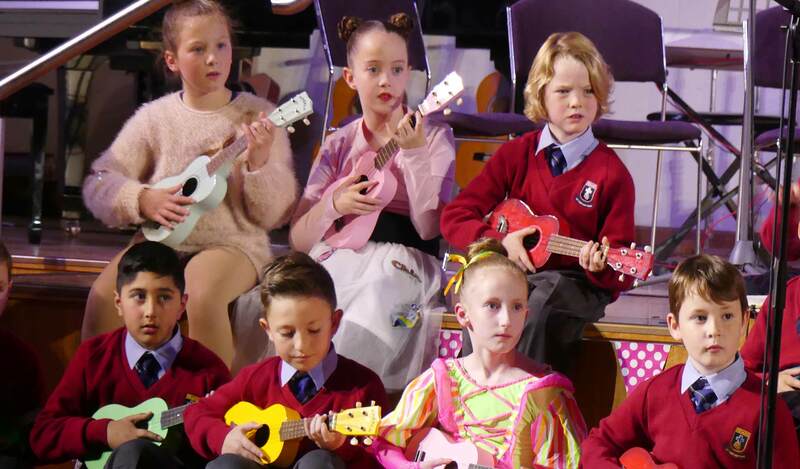 Reception students became pop-up clowns, Year 2s played a challenging 5 part xylophone ensemble piece, Year 3s rocked out on the Ukuleles to ‘Eye of the Tiger’ and Year 4s successfully rose to the challenge of an 8 part percussion piece. Year 1 and 5 students both had the opportunity to work with ‘Miss Michelle’ from Elite Dance Academy. 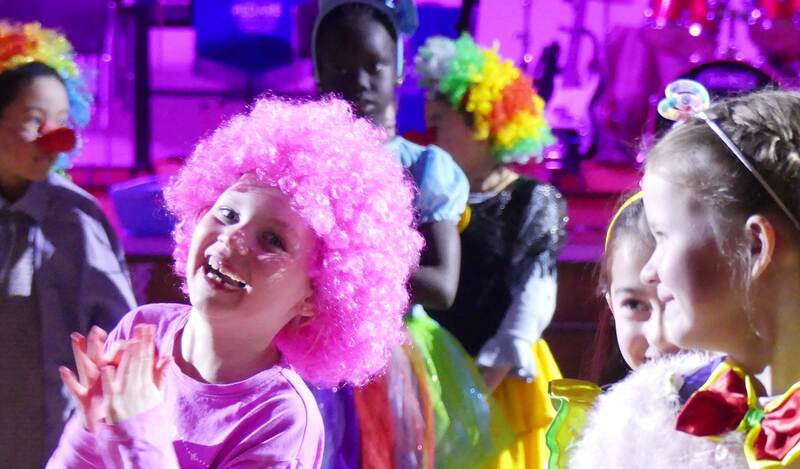 The Year 1 students set their sights on out-performing the older students and used their cuteness to their advantage, by dressing in clown costumes. Year 5s were horrified to hear that a challenge had even been set. 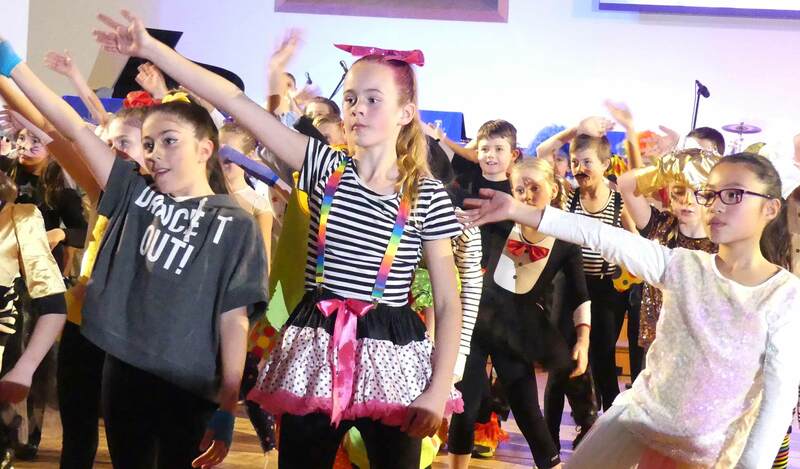 Dressed in a variety of circus costumes and with the help of some acrobatics and R-4 students banging to the beat on the Chapel chairs, they spectacularly closed the show with a huge dance number. I think we will have to declare this one a draw. It was an evening of excitement and colour, with some very happy students presenting this term’s learning. Next term we look forward to the Junior School Recital night for our vocal and instrumental students and in Term 4, the R-2 Nativity Musical, which we were given a sneak peak of at the Showcase. 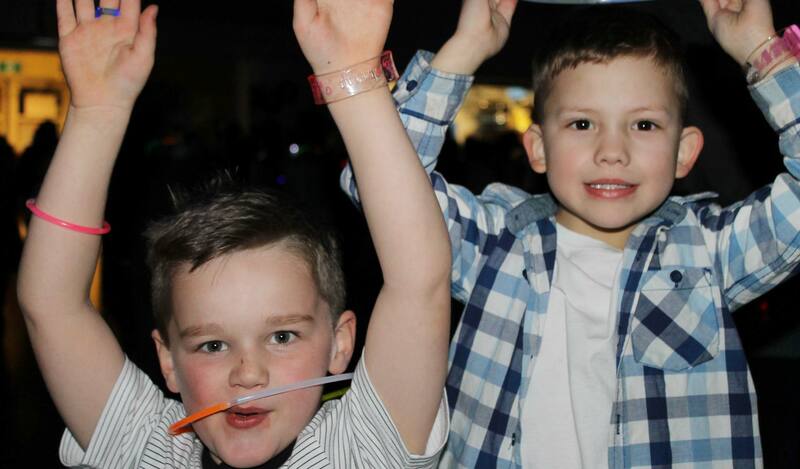 The lights were flashing, the music pumping, bracelets flashing, lollies bagged and the drinks chilled …. it must be disco time! 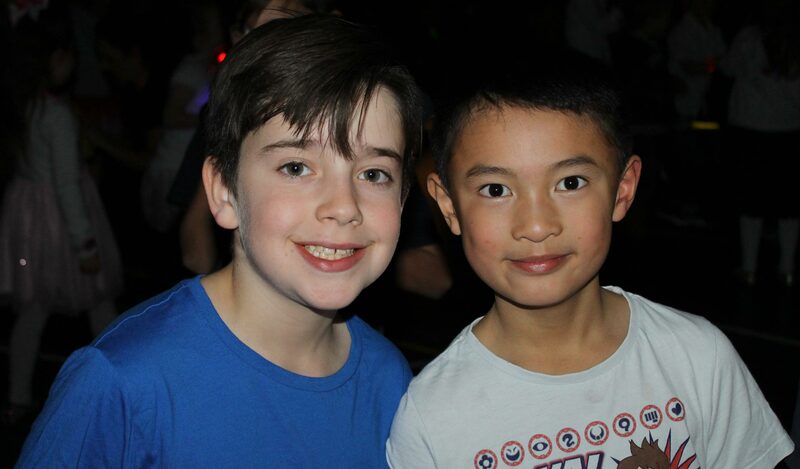 Nearly 300 excited children arrived at the Blue Gum Hall for the last disco at the Junior School Campus. They were grooving to the latest tunes whilst eating loads of sweet treats, wearing flashing rings, bracelets, hair accessories and glow sticks. Imogen Funnell won the ‘guess the number of gumballs’ game with an exact guess of 759. Congratulations Imogen. 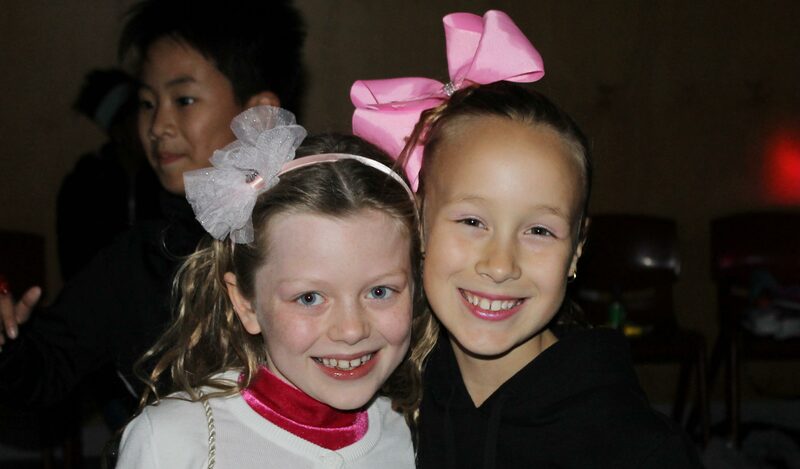 There were dance competitions with great prizes up for grabs, well done to all the winners. The photo booth was a popular destination, and let’s say they weren’t a shy bunch. There was a lot of posing and fun to be had, and the photos will be available for purchase soon. Thank you to the hard-working P&F committee members and volunteers for giving their time to ensure the children had a memorable night. Thank you also to Andrew Smith for volunteering his time, talent and equipment to provide the amazing entertainment. Last, but not least, thank you to the teachers, Mr Pearce and Mrs Clifton who gave up their evening to make sure the children were settled and enjoying themselves, especially our first time groovers in Reception. 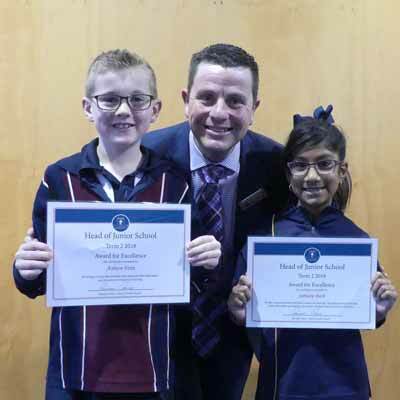 The Junior School are fortunate to be working closely with Australian’s Together, a not-for-profit organisation that believes better outcomes for Indigenous Australians begin with a change in our perspective. 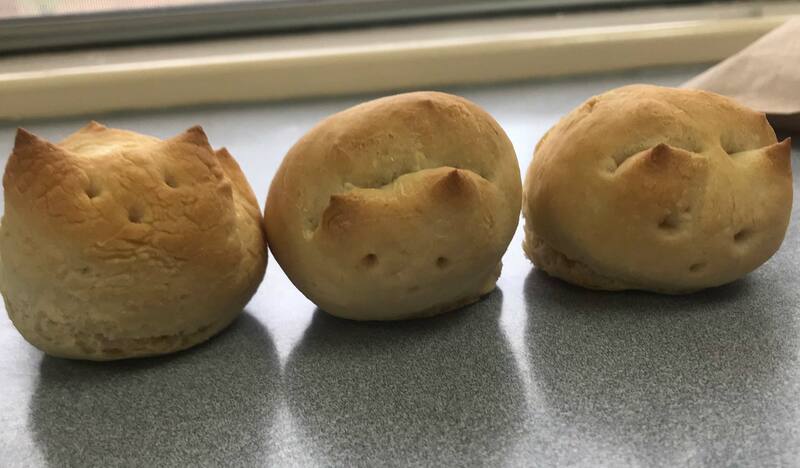 They are currently developing resources to support teachers and students based on Aboriginal and Torres Strait Islander perspectives in the Australian Curriculum; these resources are being used in Year 5 to support their Sharing the Planet unit of inquiry. Through this unit, students seek to gain an understanding of indigenous culture and history with a focus on how past events continue to have an impact today. 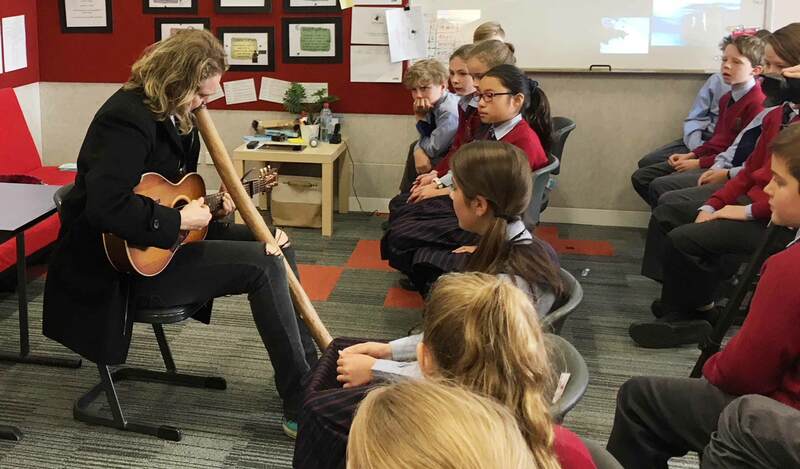 In conjunction with Australians Together, on Friday 29 June, Year 5 welcomed a visit from Scott Darlow, Aboriginal singer/songwriter to provide an authentic and meaningful perspective to students. Students were enthusiastically engaged in Scott’s presentation which focussed on Australian history and the impact on Aboriginal Culture. Scott empowered students to consider how everyone can make a difference by focussing on educating ourselves and others, showing love and by making contributions to society. The Junior Primary students were also treated to a special musical performance. 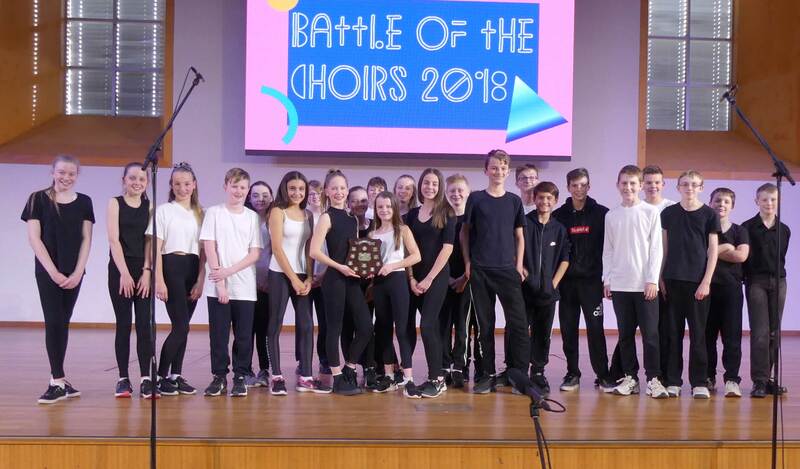 On Thursday 28 June, the much-anticipated Year 7 Battle of the Choirs was held. Students prepared their performances in their Music lessons and the entire performances were created by the students. 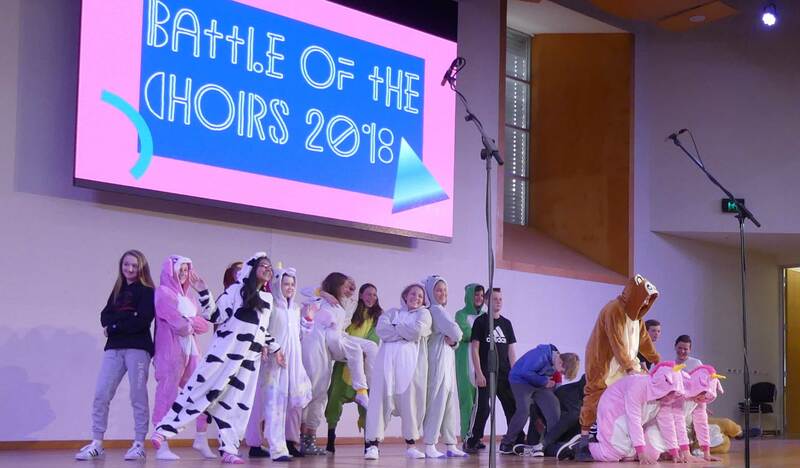 With a large audience cheering them on, it was an intense battle of singing and dancing in creative costumes, with class 7R the 2018 winners. 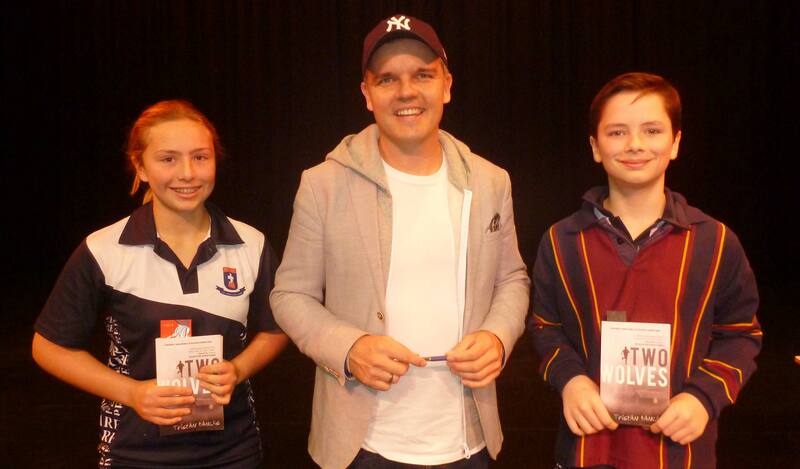 On Thursday 28 June, Year 8 students from Pedare, Gleeson and Golden Grove attended an excellent talk by Tristan Bancks in the DRMC. One of his books, Two Wolves, is a Book Cup text. Tristan was engaging and funny, but at the same time shared the serious and often time-consuming process of producing a novel, giving students many insights and tips on becoming a writer. After the presentation, Tristan signed novels and chatted to the students. 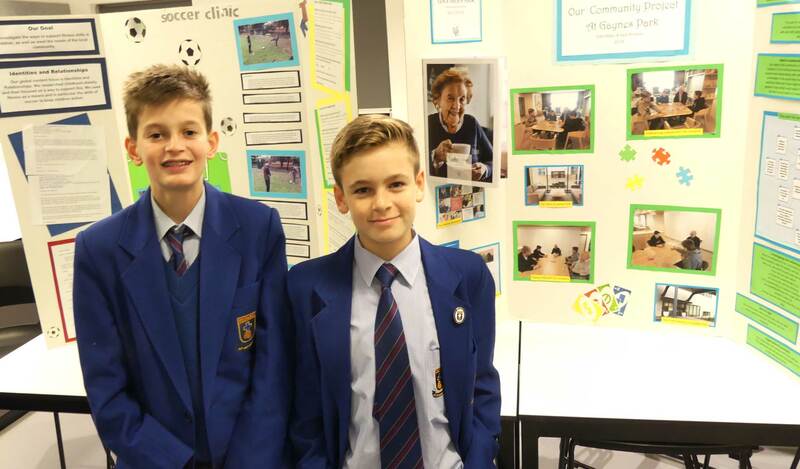 On Thursday 28 June, the Year 9 Community Project Display Night was held. Students proudly displayed their boards in the Wattle Centre during the afternoon and evening. Parents, teachers and students were invited to view the boards, which were of particular interest to those students who will be completing their projects in 2019. The Community Project encourages students to meet the needs of the local or global community through action and service. In Term 3, students will present their projects to a panel of teachers who will grade them using IB criterion. Students did an outstanding job with the variety of projects they produced. For my community project, I wanted to choose a topic that could help disadvantaged children in the community. I found the best way to do this was through a charity called Backpacks 4 SA Kids. 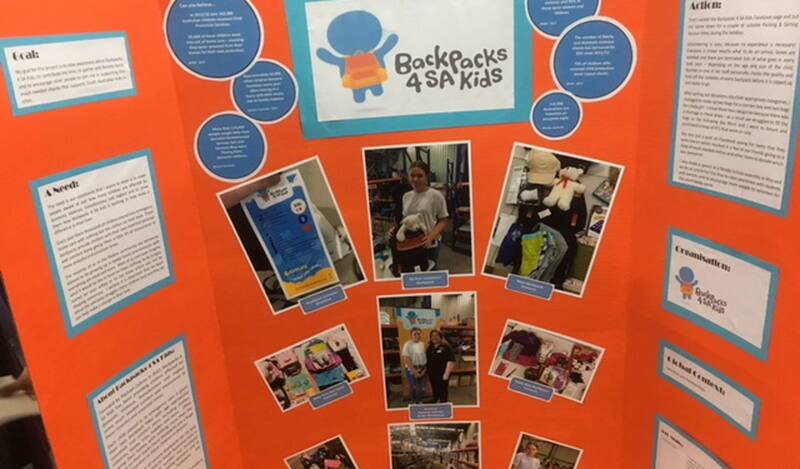 Backpacks 4 SA Kids is a South Australian charity that donates backpacks to children put in emergency foster care due to domestic violence. The majority of these children are given no prior warning and leave home with nothing but the clothes on their back. 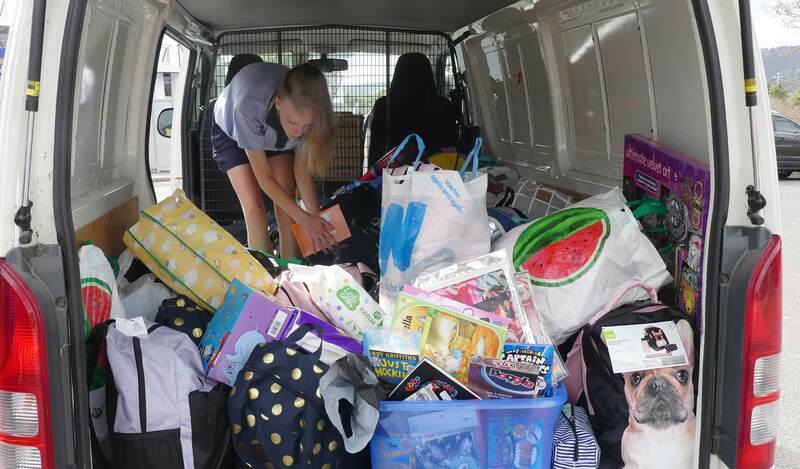 These backpacks contain necessities such as toiletries, toys, clothes, pyjamas, books and other essentials to comfort the child and help ease their stress. Unfortunately, with child abuse, domestic violence and homelessness on the rise, the demand for these backpacks is growing every year. In 2013, they supplied 564 backpacks, whilst in 2017 they managed to supply over 2000 backpacks and this year they anticipate around 3000. Luckily, absolutely anyone can help this charity meet their needs. Volunteering and donating is easy and it doesn’t matter how much or how little you have to offer. They hold regular packing and sorting sessions at a warehouse in Pooraka. Sessions run for two hours – the first hour spent sorting donated items and the second hour spent packing bags. Every volunteer comes out feeling like they have made a worthwhile contribution to a significant cause. Packing sessions are even run through the holidays which is where I tried my first session. So if you are looking to help children in the community – check out the Backpacks 4 SA Kids website or contact their Facebook page to see how and when you can contribute to this very worthwhile cause. On Tuesday 3 July, sixteen Year 9 girls visited The University of Adelaide for their annual CHOOSEMATHS day. CHOOSEMATHS is part of an ASMI (Australian Mathematical Sciences Institute) schools project. ASMI and BHP Billiton Foundation are working together to empower students, particularly girls and women, to pursue careers in Mathematics. The girls were able to engage in a number of hands-on activities including Picture Perfect Maths; a workshop on how computers transfer picture files without compromising the data and Human Markov Chains; an activity which investigates how probabilities allow us to predict patterns. The students also had the opportunity to listen to some female Mathematicians, both who are working in the field of Mathematics as well as some who are in the middle of their studies. These included Rutendo Marume, a Radiation and Occupational Hygiene Specialist working for BHP Olympic Dam, who uses Mathematics to protect the health and safety of employees by carrying out surveys on exposure levels to chemicals, gases and ionising radiation, and Dr Emily Hackett-Jones who worked as a data scientist using Mathematics to determine how online stores recommend products based on the items that shoppers view. 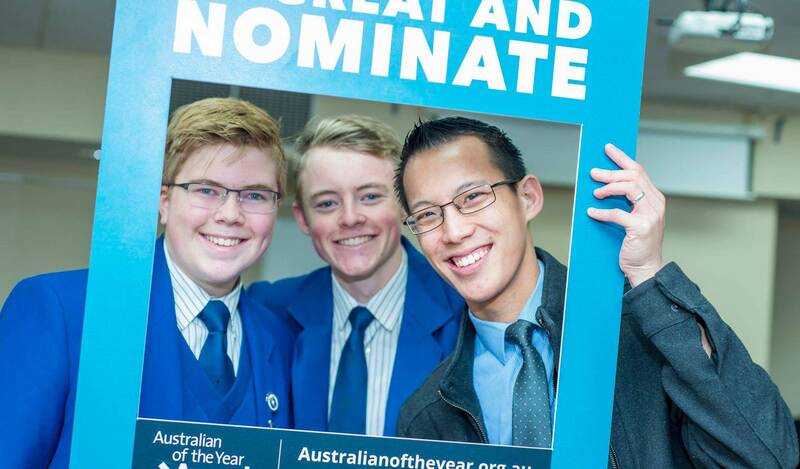 On Monday 25 June, the Department of Education and Advanced Technology Project, together with the Australia Day Council of South Australia, brought arguably Australia’s most famous Mathematics teacher and Australia’s Local Hero 2018, Eddie Woo, to Golden Grove High School. Approximately 70 students from Pedare joined students from 28 other schools to watch a presentation by Eddie, who passionately spoke about his love of Mathematics and what it means to him. Eddie explained how Mathematics is woven into every part of our lives from technology to nature, and how it helps us to understand and appreciate the world we live in. Eddie spoke about how he started recording his lessons to support a sick student in his class to ensure that he did not miss important teaching experiences. Before long, other students from his class, his school and around the world started accessing these recordings on his YouTube channel, WooTube, to consolidate their learning. During the presentation, students were given the opportunity to take part in a few Mathematical challenges to get their minds thinking, with Eddie supporting and encouraging students to discuss the problems and work collaboratively with others. Students found the presentation engaging, stimulating and extremely valuable. Year 10 Semester 2 Food Technology class has begun with a bang! 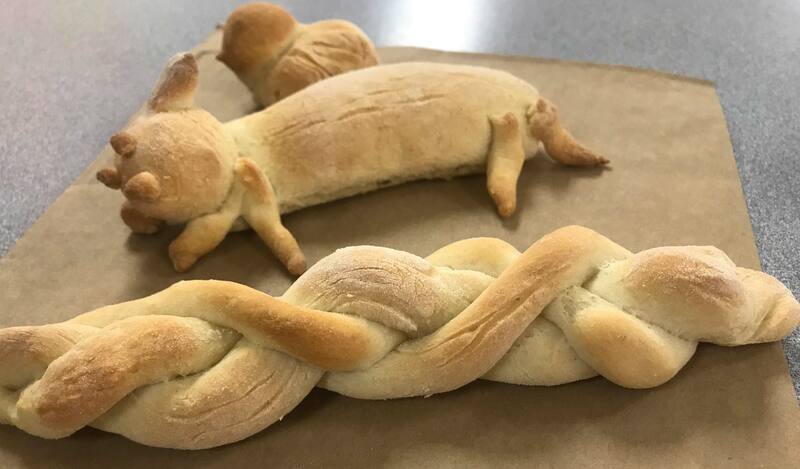 On Wednesday 4 July, students participated in bread making and specifically crafting animals from their dough. 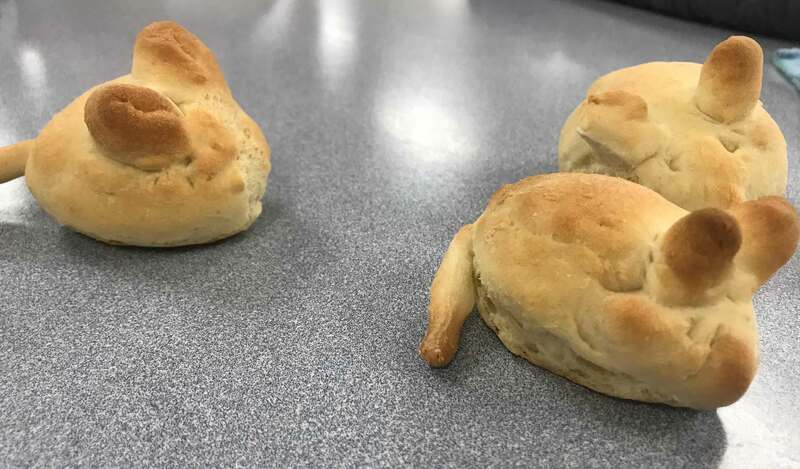 Not only were the creations artistic, they tasted good too. Whilst all other donations are welcome, these are the most sought-after items at present. 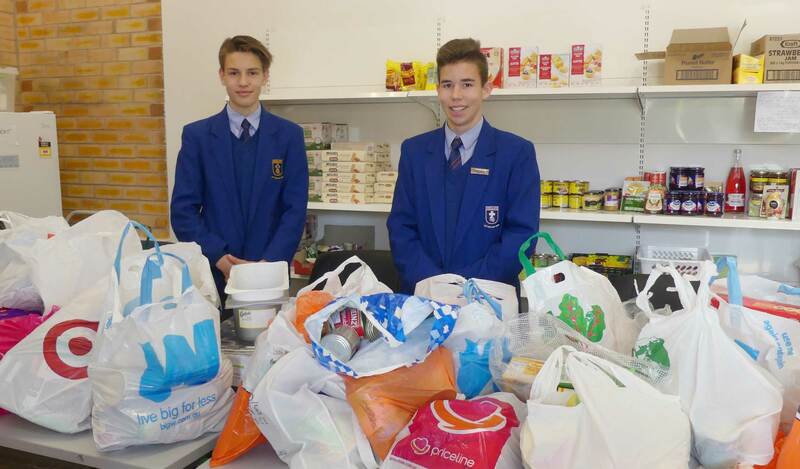 Year 9 students have also been very generous in their support of a number of different charitable organisations, through their Community Projects this year including: RSPCA, Animal Welfare League, Cure for CF, Anglicare, Reagan Milstein Foundation, Smith Family etc. They have learnt a lot about themselves and how outreach services operate. Through our Casual Days, our charities, Cure for CF, Backpacks 4 SA Kids and the Cancer Council, will receive a monetary donation at the beginning of Term 4. We thank everyone for your generosity so far this year and encourage you to consider how you can continue to support those in the community who are less fortunate. 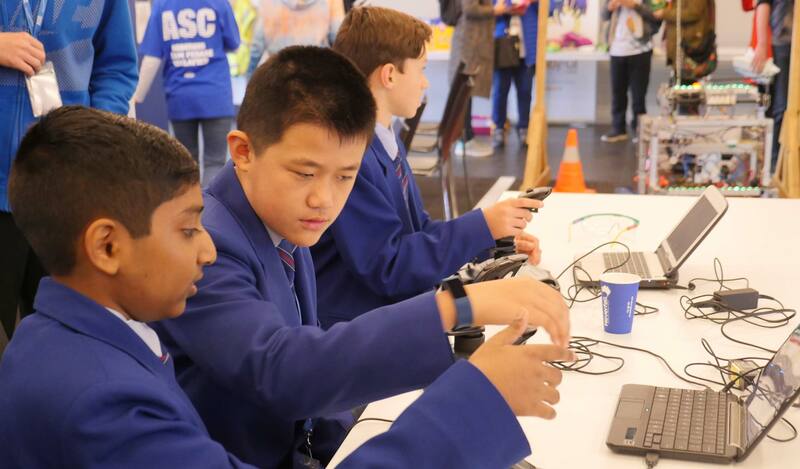 On Sunday 24 June, Pedare families travelled to the Australian Submarine Corporation (ASC) to tour the facility and participate in a day filled with robotics. With us were two other teams involved in the FIRST Robotics Competition totalling over 150 attendees. 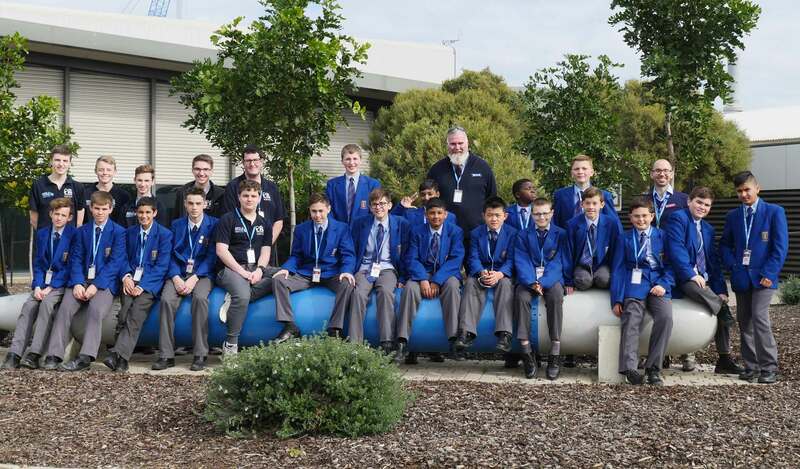 The ASC had organised several workshops focussing on submarines, robotics and a tour of the facility. Students and family members were able to see two Collins class submarines and hear directly from those involved in the building process. 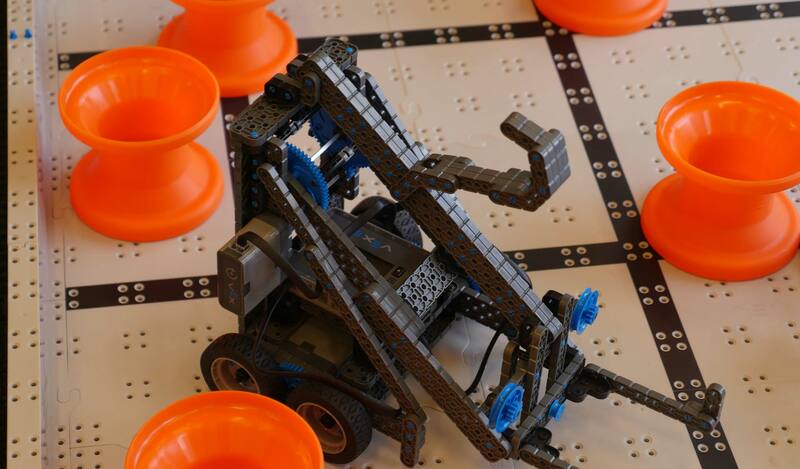 With our involvement in Robotic competitions across FIRST Robotics, FIRST LEGO, VEX IQ and VEX EDR, Pedare is leading the way in enabling students to compete in STEM competitions. 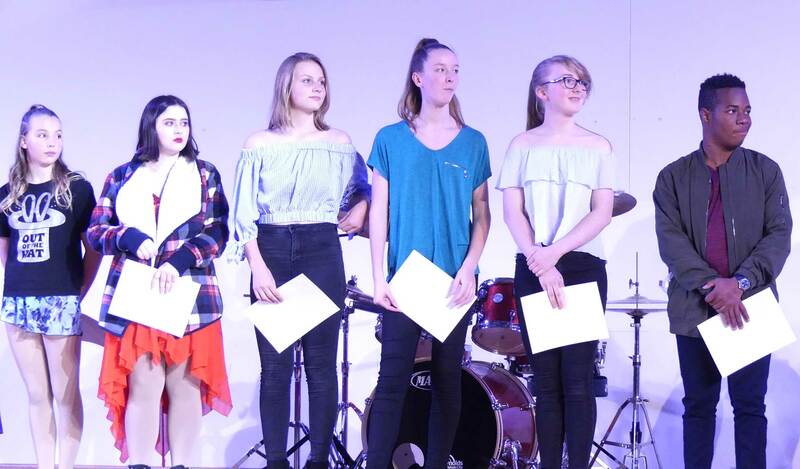 On the evening of Tuesday 2 July, Pedare, Gleeson and Golden Grove came together to put on the combined talent show, FLAIR. We had been entertained by our many talented students in Pedare’s Got Talent and had four acts performing in this show. Old scholar, Pal Tear, Class of 2017, came back to be one of the judges, our own Nathan White was one of the comperes and students from Year 10 and 11 helped in the running of the night. 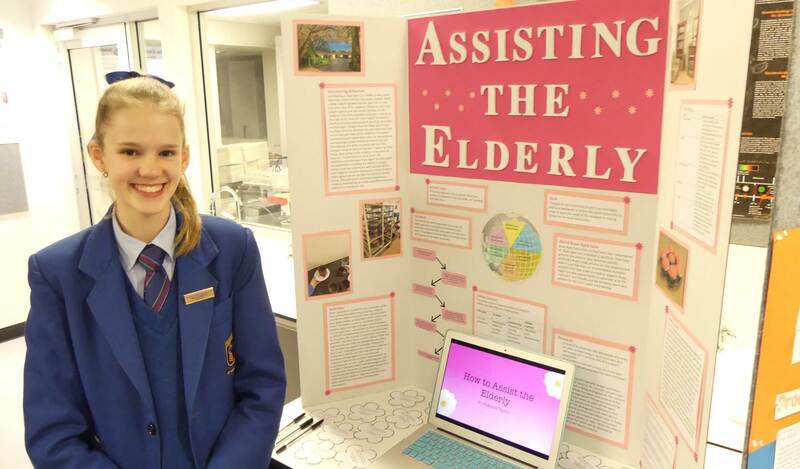 Whilst the placings this year were shared between Golden Grove High School and Gleeson – we extend a very big congratulations to our own acts Abigail Nelson, Isabella Griffiths, Maro Odhigu, Emma Nairn, Chelsea Leisavnieks and Holly Schutz for their wonderful performances. 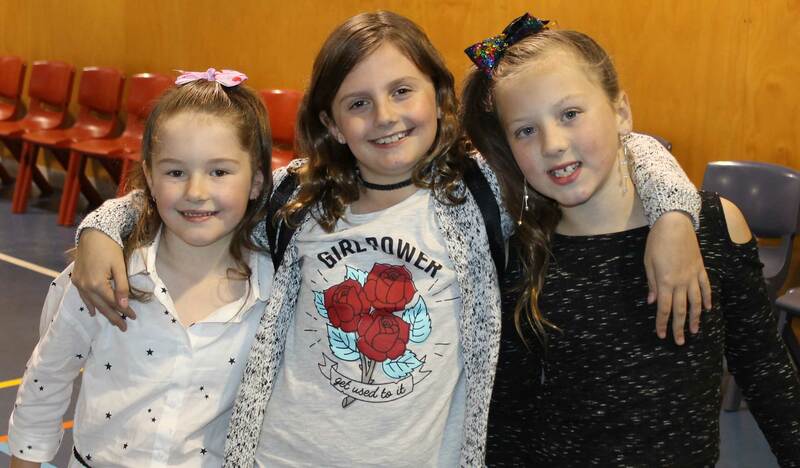 Money raised on the night was for the charities of the three schools, and we hope to be able to add several hundred dollars to our fundraising for Backpacks for SA Kids and the Cancer Council. 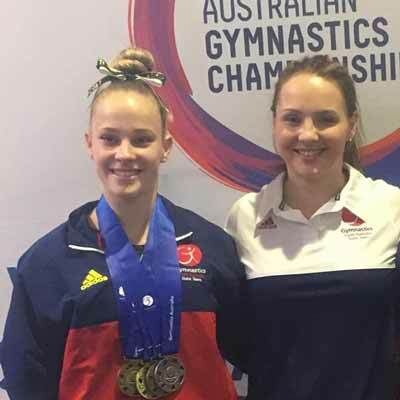 Congratulations to Year 12 student Savannah Crompton from Tea Tree Gully Gymsports Inc who has been selected to represent Australia in the New Zealand Levels Tour in Gymnastics. 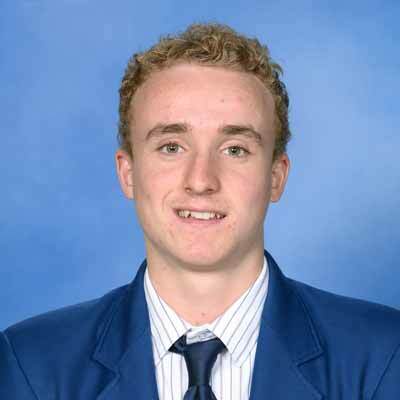 Congratulations to Oliver Shaw, Year 12, who has been selected to play in the SANFL U17 South Australian Futures Squad. Oliver has been selected as Vice-Captain of the team when he plays the SANFL State U16 Team on Sunday 8 July at Thebarton Oval. 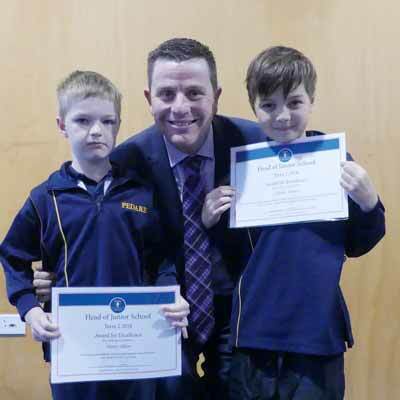 On Monday 25 June, Pedare competed in the Interschool Adelaide North Primary School Chess Competition. We had our largest contingent of competing students, eleven Year 6 and Year 7 students. Competing against 5 other schools, the students played seven games in a round robin competition. 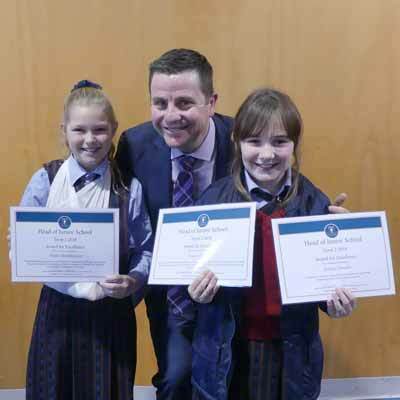 The top four students from each school are scored giving a maximum of 28 points. Pedare finished a creditable third scoring 19 points, 1.5 points behind King’s Baptist on 20.5 and 2 points behind winner Prescott Primary on 21 points. 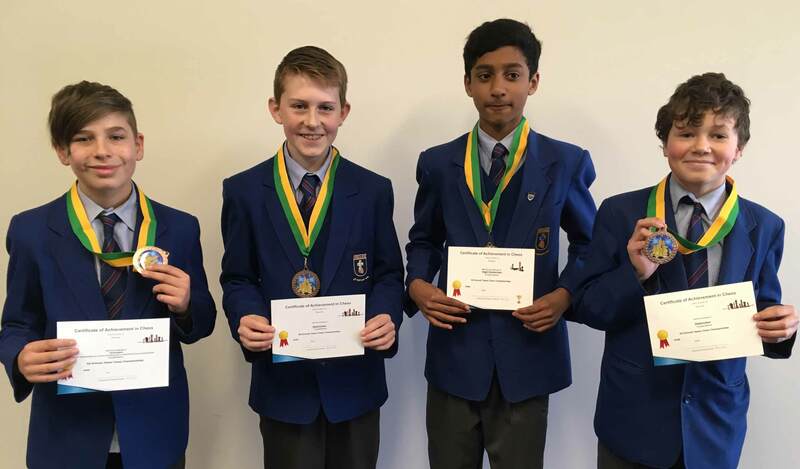 Our top four students who received a bronze medal were Shaun Phillips on 6 points, Benjamin Carter 5 points, Ryan Penna 4.5 points and Joshua Robinson on 3.5 points. All the students had a good time and are looking forward to the next tournament at the end of Term 3. Two Year 6/7 teams participated in the Specialist Schools Netball Carnival held at Priceline Stadium on Tuesday 26 June. It was a great opportunity for the girls to have some dedicated court time against challenging oppositions. All players responded to feedback and the individual and team development were obvious throughout the day. In the end, we played off for 1st and 2nd position in our division, being beaten by a very slick team. Achieving a turnover at the first centre pass in this last game really lifted the girls. It is now time to focus on the next round of the SAPSASA Knockout competition which will be played next week. 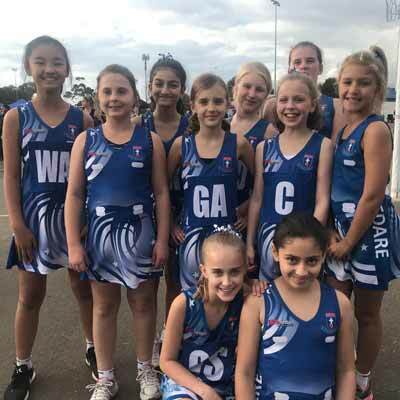 On Sunday 24 July, the Under 11 netball team (as well as two Year 6s Natasha and Han) participated in Elizabeth’s Annual Brenda Herraman Carnival at Argana Park. The girls faired evenly all day winning two out of four minor round games. They worked hard and were determined to make their way into the semi-final, which they achieved. After we played two ten-minute halves of the semi-final match the teams were drawing. We went into extra time and ended up winning by two goals, which meant the team was through to the Grand Final. Very exciting and nerve-racking all at the same time, for some of the girls this would be the first Grand Final they have played in. They had so much energy and couldn’t wait to play, they fought hard and chased down as many loose balls as they could, working together as a team to take home a well-deserved win. Despite the carnival running overtime, I was very pleased with how the girls conducted themselves and made sure to be patient until we were able to play our games. A big thank you to Helen Devink for being my primary carer on the day and helping me to organise the team to ensure the day ran smoothly. Overall the day was very successful and an outstanding achievement for the team. Each and every one of you should be very proud of yourselves. Well Done Girls! 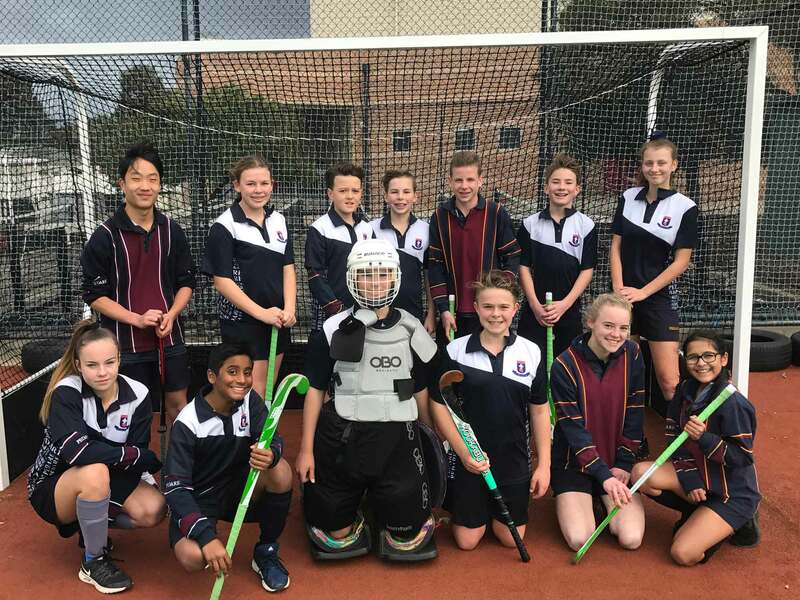 On Friday 29 June, Pedare participated in the 2018 8/9 North East Mixed Hockey Carnival at the North-East Hockey Club (GGRC). The Pedare team consisted of some experienced Hockey players and others playing for the first time. The team played five modified matches throughout the day, with positive results. From these matches, we managed four draws and one close loss. This meant Pedare finished 4th out of the 6 competing schools. We team then played Roma Mitchell in the playoff for 3rd spot. Pedare fought hard and ended up at 0-0 at full time, which meant the game went to a penalty shootout. Unfortunately, the team went down by 1 goal in the shootout and finished the day in 4th position. All the players gave their best and performed very well. The standout players for the day were Brooke Cornish, Ebony Porter and our goalkeeper Bradley Przibilla. 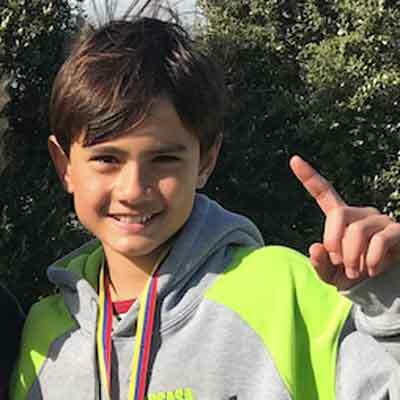 Congratulations to Nicholas Graves, Year 7, who played as a member of the Tea Tree Gully SAPSASA District team which won the Division 1 title in the SAPSASA Soccer Carnival recently. 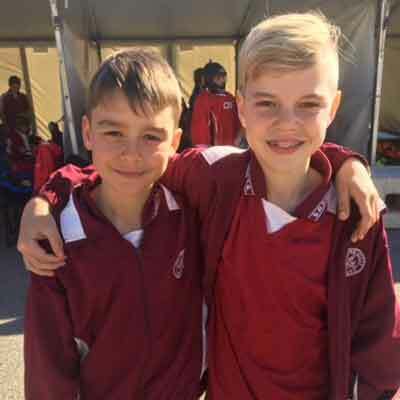 Congratulations to Nicholas Warne, Year 6 and Angus Horne, Year 5, who were selected to represent Tea Tree Gully SAPSASA District at Hockey recently. With only two losses, the whole team played well. Meets Friday each week at 7:30pm. The next meeting is on Friday 27 July. Come for a great time of games, friendship and bible discussion. For information about 2018 SWAT Youth, phone Dave on 0403 723 953 or click here. People wouldn’t dream of letting their car go without a regular service and just like a car, your relationship also needs regular “tune-up” times. Starting on Tuesday 14 August, TTG Anglican will again be offering the Marriage Course to the Pedare Community. This successful seven-session course first started in England over thirty years ago, is supportive and discreet, with privacy and confidentiality assured for all couples. There is definitely no group sharing, and the session format allows you to talk privately at your own table. All course materials are provided and a special supper is served each evening. The course runs from 14 August through to 25 September 2018. To book yourselves a regular “Date Night” or for more information: https://ttganglican.org.au/ministries/marriage-course/ or email mc@teatreegullyanglican.org.au or phone Andrew on 0432 103 159. Come along to Tea Tree Gully Council’s first Winter Warmer Market on Saturday 28 July 10:00 am – 2:00 pm. The market will be hosted in the relaxed reading area at Tea Tree Gully Library. This event provides local makers and designers the opportunity to showcase and sell their handcrafted wares. Look out for a group of Year 6 Entrepreneur girls who have a stall at the market selling slime.